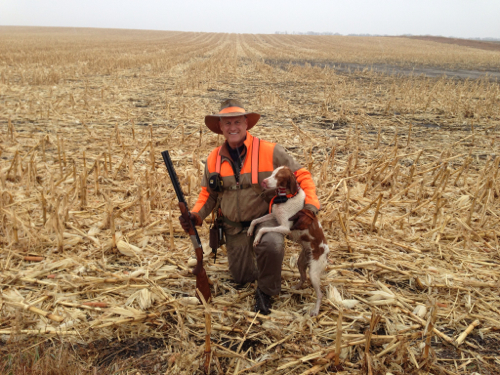 A Bird Hunter's Thoughts: South Dakota Weather Perfect for Bird Dogs! Ace crossing the James River....again! On the way back from a "grand adventure". 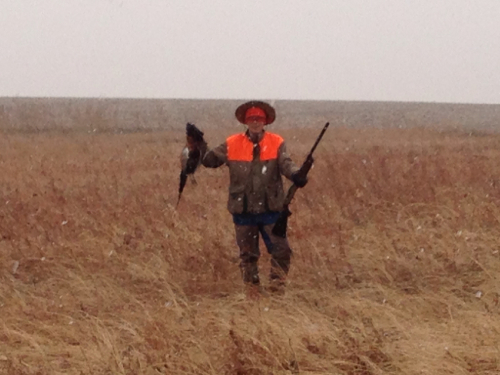 Dillon Tanner and a nice rooster in the snow! Nice shot! We got up to an overcast day with the promise of rain by afternoon. Afternoon came early today...around nine thirty. Then the snow started. 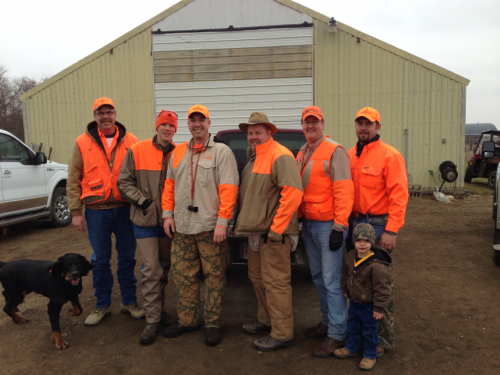 If you are a bird hunter, a day with light snow and light breeze and birds in front of you, upwind, is a day to remember! 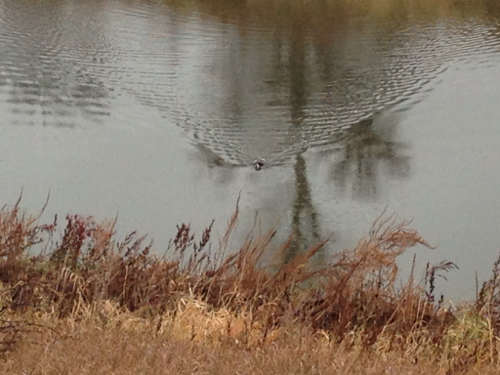 The pheasant held tight, deep in the cattails. We got the young bucks to get in the middle and push them out, then the dogs took over and pointed them. The day wore on with snow and some spitting rain. I was absolutely dry the entire day. I love my pants (please don't repeat that). They are LL Bean brush pants, they are waterproof, windprood, with articulated knees, zippered pockets and roomy and very light! They aren't cheap, but good stuff never is. I wear Asolo hiking books- waterproof and tough, leather. My Orvis waterproof, windproof shell over a wool sweater and turtleneck kept the core warm the entire time. My Akubra rabbit-felt hat kept the rain off with no leaks, which kind of surprised me, since most hats I've worn leak at one time or another- usually at the seams. Today looks cold and wet already, but the sun should peak out by noon (yeah, right!). Stay tuned.